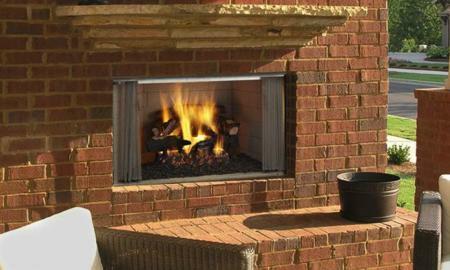 The Villawood Outdoor Wood Fireplace at home in a variety of outdoor spaces. Upgrade your outdoor kitchen, or enhance your living area with style and warmth. Add the Villawood Outdoor Wood Fireplace to your deck or patio and enjoy the experience of glow of a wood fire while you relax after a long day. Outdoor fireplaces are available in many styles, and come in configurations for burning wood, natural gas or propane fuels. 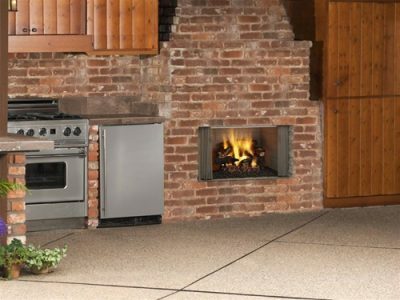 Install an Outdoor Wood Fireplace in an outdoor screened room, or on a deck or patio to provide heating, ambiance and to extend the seasonal use. We have noted an increase in popularity, with more Outdoor Fireplaces being added to cottages and homes in the Ottawa. We see a particular trend in rural Cottage areas near Carleton Place, Perth and Smiths Falls Ontario.